These include the complex chemical compounds that are the building blocks used in producing Active Pharma Ingredients (APIs). 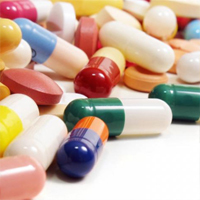 These are used as raw materials for the production of bulk drugs, or they can refer to a material produced during synthesis of an API that must undergo further molecular change or processing before it becomes an API. With the growth of industries like oil, refinery and pharma, the demand for high end intermediates has also increased significantly over a period of time.